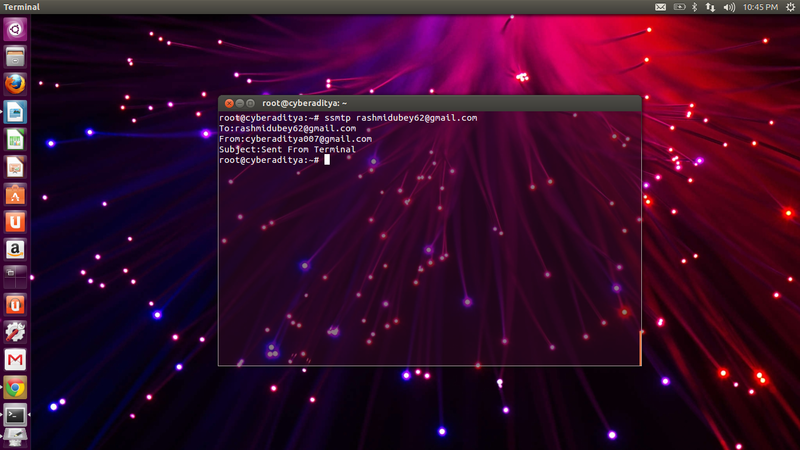 Hello Everyone, I am Back with another Linux basic Tutorial about Sending an Email From Linux Terminal, Most of The People Think that its Quiet Tough to Use Linux. But Believe me Its not that Tough, If you want to Do Something Great than switch to Linux. Like I switched to it about a Month Ago. 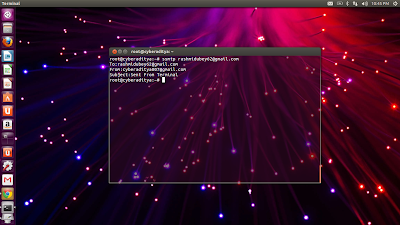 Back to the Post:- To Send an Email to your Friend from the Ubuntu 13.04 Terminal Follow the Simple Steps. Step 6:- To Send an Email Press "Ctrl+d"